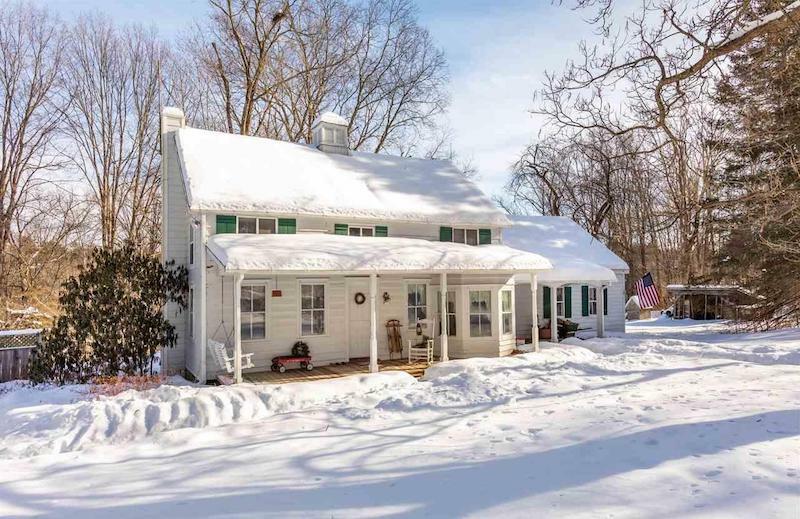 This 1,583-square-foot historic Hudson Valley farmhouse rests on 10 private, wooded acres in the small Rochester, NY, hamlet of Accord, in the foothills of the Shawangunk and Catskill Mountains. 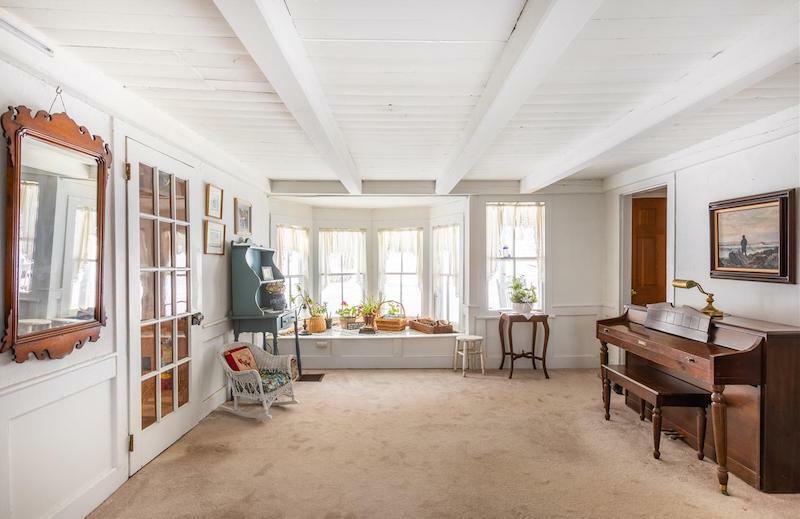 Built in 1870, set back from a quiet country road, this one-of-a-kind family estate features an open kitchen and massive great room with vaulted, hand-hewn beamed ceilings and wood-burning stove. 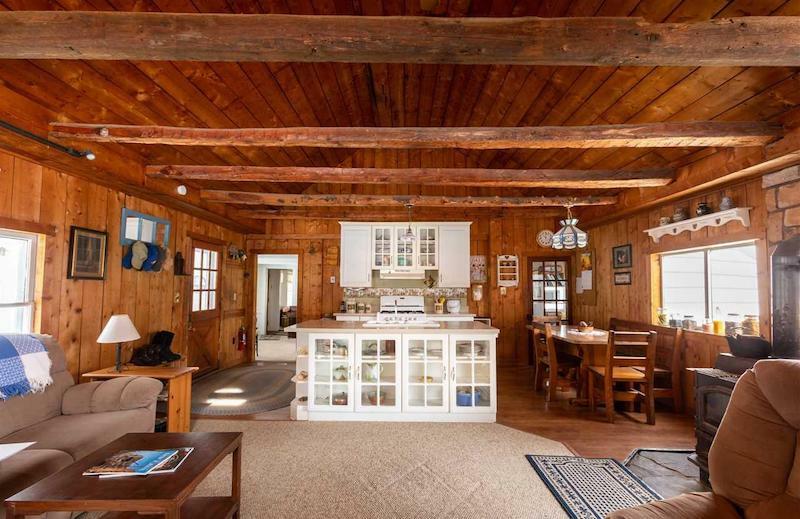 Outside, there are two detached garages, one with an upstairs studio, as well as a red barn, chicken coop and pond.